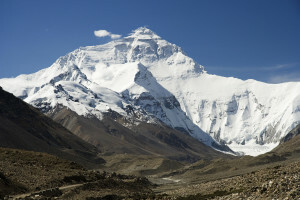 To commemorate 200th anniversary of Gurkha service to the Crown, the Brigade of Gurkhas is planning to put a team of Gurkhas on the summit of Mount Everest in 2015. A secondary aim is to draw attention to the fact that Gurkhas have played a significant role in Himalayan exploration over the past 140 years. This is particularly true of the period before 1939. Put simply, before Sherpas there were Gurkhas. However, although several Gurkhas reached above 27,000ft on the 1922 expedition led by Brigadier Charles Bruce, and a further three were part of the successful Army Mountaineering Association expedition to Everest in 1976, a serving Gurkha soldier has never achieved the summit of Everest. We aim to rectify this. To place at least one serving Gurkha soldier on the summit of Mount Everest. To train the nucleus of instructors for the next generation of Gurkha mountaineers. To commemorate 200 years of loyal service to the British Crown. Updates on preparation, training and progress are all available at Himalayan Odyssey’s webpage. You can also see the Forces TV report on the launch and expedition here.